This sale leads off with Part 1 devoted to transportation tokens, followed by Part 2 San Francisco Extravaganza, and finally Part 3 tokens and exonumia in general. 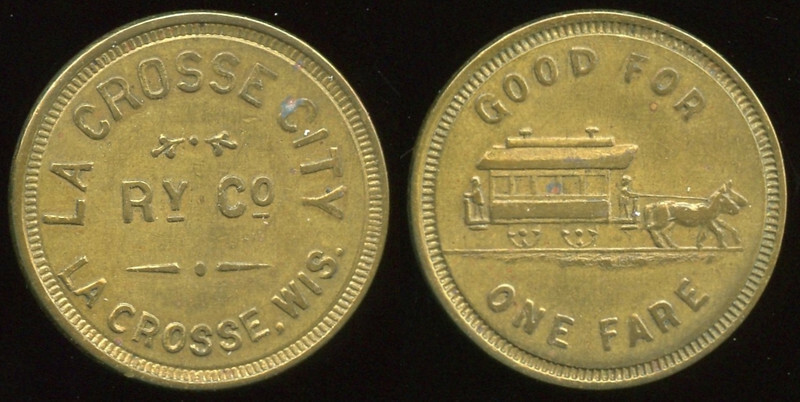 Part 1 consists of transportation tokens having a catalog value of at least $10. Part 2 provides a wide variety of exonumia from San Francisco including tokens, Masonic chapter pennies, medals, badges, and miscellaneous items. Part 3 includes a significant offering of saloon tokens, tokens from a number of states including a good offering of California rarities, an assortment of foreign tokens, encased coins from many states, and a selection of military. Photos not part of the original listing will be added as requested -- last posting November 17. Requested photos are shown after the photos from the original listing. Prices Realized (not including the 10% buyer's fee) added December 8.